A salty cracker which is made to be filled with chickpeas and potatoes and matched perfectly with our Spicy Imli Pani. 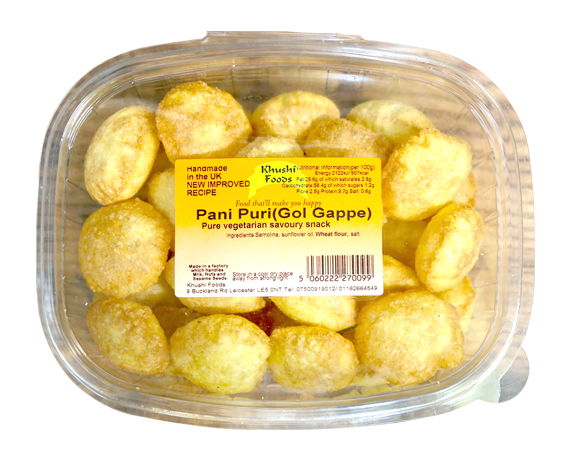 Our Pani Puri is made from the finest of ingredients including pure sunflower oil. Suitable for vegetarians. Contains wheat. Made in a factory which handles dairy, nuts and sesame. Store in a cool dry place away from strong light.